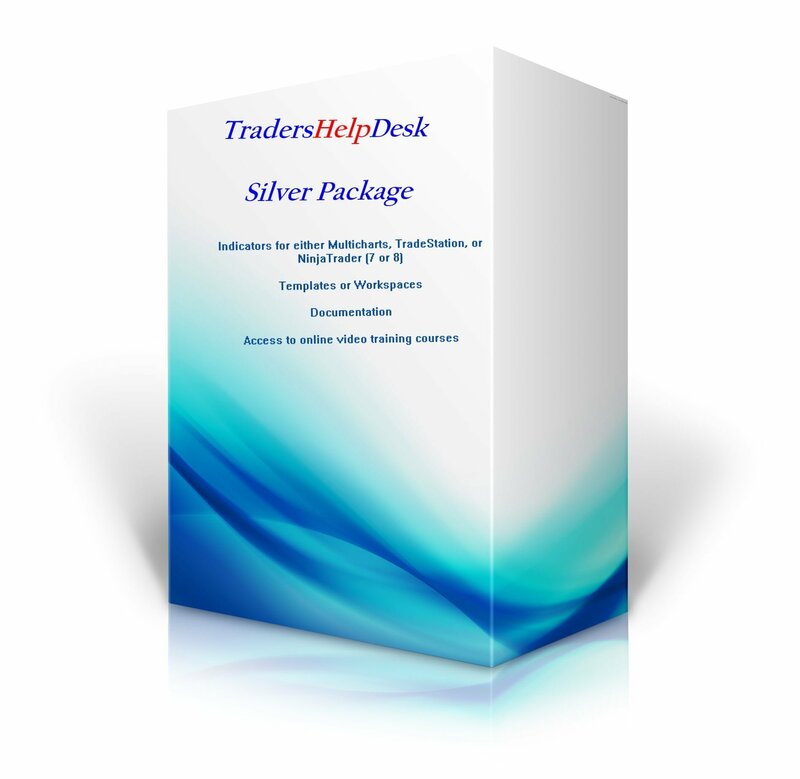 THD Silver Day Trading Package Take control of your trading! The Day Trading Indicators Silver Package provides traders with the trading indicators and training needed to be successful in today’s markets. The TradersHelpDesk indicators work on Forex, Futures, Commodities, Stocks and binary options. Traders can now take control of their trading with the TradersHelpDesk unique TradeStation Radarscreen, Multicharts Scanner, and NinjaTrader Market Analyzer indicators, as well as the charting indicators that instantly notifies the trader when a trade is setting up with sound, email and text alerts. Plus, using our risk to reward ratio of 1:2, means you simply double your risk for your profit target or trail your trade using our revolutionary trailing stop methodology. A one-time price of $1,495.00 will be added to your order. The TradersHelpDesk's Silver Package is designed for traders who have limited trading experience and includes all the 10 most popular indicators listed below, documentation, workspaces or templates, installation, and the Guide to Successfully Trading Today's Markets in 90 Days for Beginners video courses. Additionally, technical support for your indicators is also included. Plus, the Guide to Successfully Trading Today's Markets in 90 Days for Beginners video courses are included.